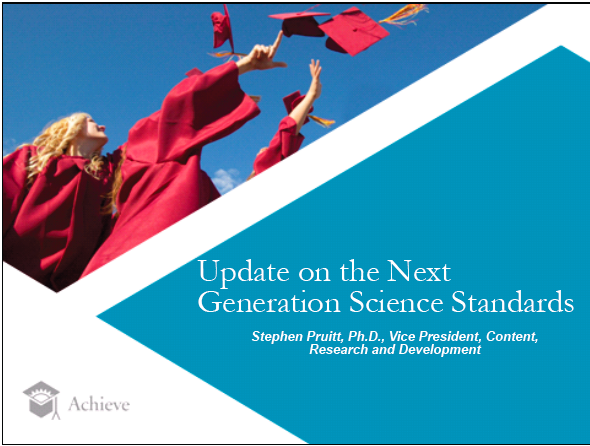 I have been waiting for an update on the Next Generation Science Standards and finally have something to share. Dr. Stephen Pruitt recently gave an update on the project and below is a pdf of the slides used. Hope this is helpful to all who want to be informed as the writing of new science standards progresses. Toward the end of the document you will find a Timeline for Writing and Review… however there are no dates just a flow chart. Be on the lookout for the Conceptual Framework for New Science Education Standards to be released soon.